Just imagine, as usual routine you start the computer and log in into yours beloved blog; and gets doomed by watching the traffic drop by 60% [Organic search]. With curious, you start further analysis for its cause but guess what, “Found Nothing Wrong”. The my Main question about that is “Paid Links Effect on SEO“. Oh! its very irritating when we pay money best get lose instead on winning the Game. The paid links are the backlinks that we create in others website buy paining money with some Keyword to rank it. Then here comes the blame game [Search engine]. But, being a webmaster you should be aware that 3rd party online tools can’t detect and analyse “The Paid Links and its effect on blog/website” [Though Google webmaster’s warns sometime]. But, firstly what link is a paid link and how does search engine [Google] analyze it? In a simple definition, it’s a Linking or Backlinking to an external website [Say from my.com to others.com] for a small fee and labeling it with ‘Sponsored‘ or ‘Paid Link‘. 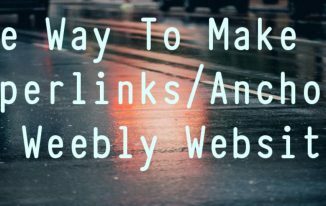 Linking to other website passes a page rank juice and it should be done in more novel way but it’s considered an illegal process if do the same for a Money [where penalty are imposed to blog, not to the owner though ]. So, what’s the solution to avoid the paid links effect? Very simple, just put a no-follow tag to all yours paid link. Yeah that’s it..! Step to use the no-follow tag ..[<a href=”other.com” rel=“nofollow”>Others Link</a>]. 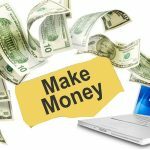 If not 100%, but almost 80% of the most blog are meant to make and earn money. So, do the things professionally and rather don’t underestimate the search engines, they are more intelligent now [comparing 5 yrs back]. Find more about nofollow. So, don’t try to trick them on paid links “even though the buyers insist to pay you more for a do-follow link”. PS: If you are still not convincing with me, you better read this post [Right from the Google Engineer] link here. So it you are not getting much from Paid Links then don’t buty them otherwise they will ruin your blog. 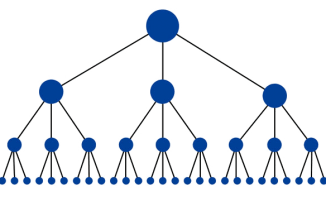 The Paid Links Effect on SEO is good and short topic asking you to stop buying and do natural work if you want to get ranking in a position you maintained by natural work.